Garage doors play significant role in making your home exteriors elegant and prominent. Anything you install will bear a direct resemblance to your sense of style and personality. 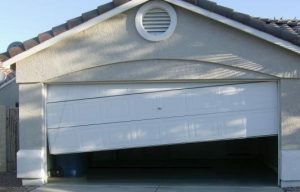 There are a number of options when it comes to garage doors such as classic Tudor style or modern aluminum finish door. Residential doors are available in several combinations of style, color, finish and material. We, at Garage Door Services Dubai offer three types of residential door that includes sectional, roller shutter style or canopy style sliding. Steel: Steel doors are durable and trustworthy and given first preference by customers. Several openers can effortlessly handle the weight of the steel door. But, they are not recommended for the areas with tropical climate as high moisture leads corrosion. Aluminum: A great lightweight alternative to steel and preferred choice when it comes to value for money. These are easy to install and maintain. They come in various shades and finish options. Fiberglass Doors: Nowadays, it is the most commonly used material due to its light weight feature. Fiber makes the door extremely light in weight and even reduces the risk of injuries. They require less horse power openers as a result saves lot of energy. Wooden Doors: These types of doors are the most expensive to install and maintain. But, they offer unmatchable sophistication, elegance and grace to the home. Regular polish and varnishing is required to maintain their finish. Sectional – The door fold beyond or sideways to the wall or ceiling and dwell of small sections with 3 or 4 section. The movement of the sections depend upon the instructions from the openers. The large one enable easy repair and installation. Overhead Doors- These doors are stretched up with the help of the opener and stored below the ceiling. It is identical to the rolling of the door but the panels are folded. Sideways Sliding – In this the sectional door slide to the side of the adjacent wall. This is done by using hinges and pulley system attached to the openers. Roll-Up Shutters – The door panels rolled up near the bottom of the ceiling and are small in size. They save lots of space and are easy to maintain. 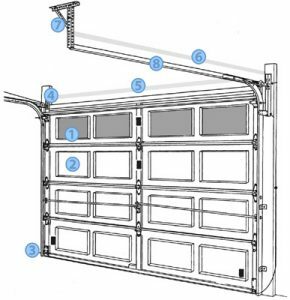 What Distinguish London Garage Door Services From Others ? We work with a number of experienced and skilled advisors to offer the best solution to customers for all their problems related to the door. Our technicians render both repair and installation for residents of Dubai UAE. We offer 24/7 assistance to our clients with a prime objective of customer satisfaction.